The Super Champ X2 combines 15 watts of classic 2-channel tube sound with modern features such as flexible amp voicing and a versatile effects section. The built-in USB port allows direct recording in connection with a PC/Mac and offers access to Fender's FUSE software with connection to the community of the same name. I used to have Super Champ XP that had a great Blackface Fender sound on the first channel and 16 other amp sounds on the second channel. The new Super Champ X2 amp has been improved and still has Blackface amp sound on the first channel, but the second channel has been reprogrammed with different amp type models. But those could be easily changed with the Fender FUSE software. The old XP amp was made in China and the workmanship was not as good as the new X2 amp that is made in Mexico. The amp is loud enough for home use and for gigs with a band and a drum set in clubs. It can also be plugged into a PA system in large concert venues. It can also be plugged into a computer for professional studio sound engineering. For all those reasons the X2 amp meets my needs. On the down side, the Super Champ amps are not made for use with earphones. Super Amp for the money!! I love this amp!! 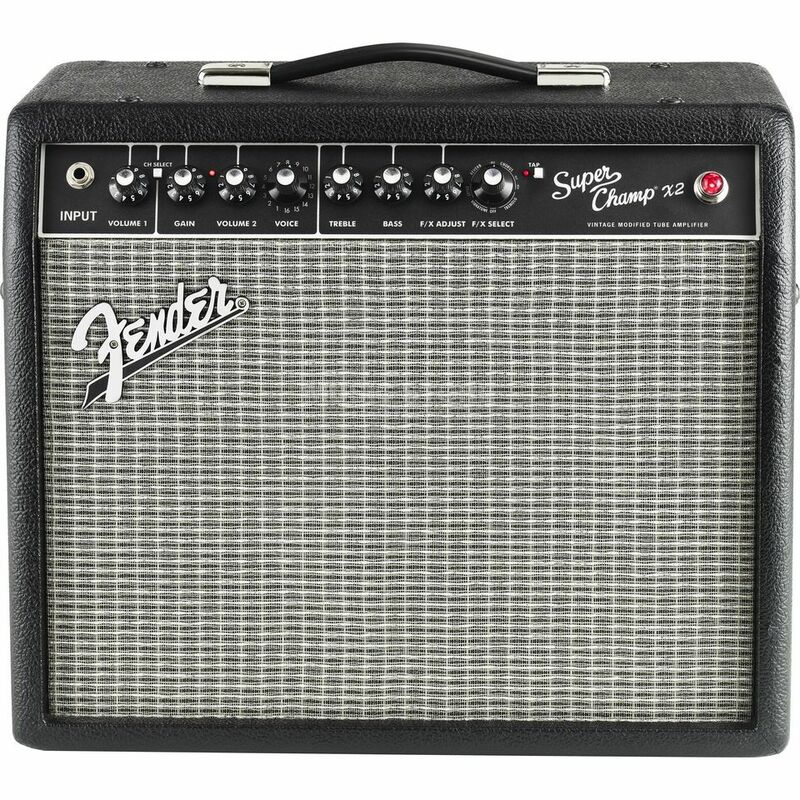 I upgraded from a solid-state Fender 40W Mustang II. I noticed the difference immediately - the responsiveness of the all-tube X2 is a major upgrade compared to the Mustang. It's really a joy to play and experiment with. I love the presets, but I am most impressed with the lovely clean channel - it really responds super-well when you vary pick / strum strength - a whole new layer of expression I simply didn't know about while I was using Solid State amps all these years. Great build-quality, compact size... what's not to like?? It has a cab-simulated lineout too, so you can hook up to a PA without mic if that's your thing. Highly recommended! !